monisation of one food ingredient in which we risk opening the flood gates for other alternative yet potentially more dangerous substitutes to infiltrate the British diet unchallenged in its place. 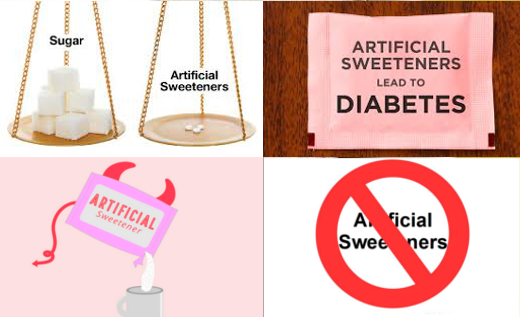 Artificial sweeteners such as aspartame (NutraSweet, Equal), sucralose (Splenda), saccharin, acesulfame potassium, neotame, and various other synthetic sweeteners all cause serious health problems as concluded by scientific evidence in a variety of ways. And the evidence is strong that they all dramatically contribute to diabetes and weight gain. Don’t be fooled by the myth that artificial sweeteners of zero calorie value can be part of a ‘healthy weight loss diet.’ Predominantly because most sweeteners no matter what the calorific value still stimulate sweet receptors in the body leading to weight gain and in recent studies diabetes. Calories are merely measurements of energy and there is currently no substantial scientific evidence that supports the calorie counting hypothesis, as all calories are used differently in the body depending upon their carbohydrate value. It’s time to drop the mythology. Of the most concern is aspartame also known as E951, a genetically modified, multi potential carcinogen. It has been linked to endocrine problems, bloating, obesity, and diabetes. A known neurotoxin, it has been strongly linked to neurological problems including depression. Studies found that it compromises the central nervous system. Still of concern to human health; Saccharin, although the evidence is not as strong, linking saccharin to bladder cancer, in rats, long term use in humans is not yet fully known, but can cause allergic reactions in some people and reported side effects include: skin issues, headaches, nausea and diarrhea. Made from coal tar: saccharin is commonly manufactured by combining anthranilic acid (used among other things as a corrosive agent for metal) with nitrous acid, sulfur dioxide, chlorine, and ammonia. Chlorine and ammonia are not common food ingredients you would want to find in anyone’s cupboards and should be viewed with caution. This additive is marketed under the brand name Splenda. Sucralose is basically denatured sucrose. Its preparation involves chlorinating sucrose, chemically changing the structure of the sugar molecules by substituting three chlorine atoms for three hydroxyl groups. Chlorine is a known carcinogen. Furthermore, it’s worth considering; replacing cane sugar for another more synthetic substitute never really addresses the real problem of sugar addiction. 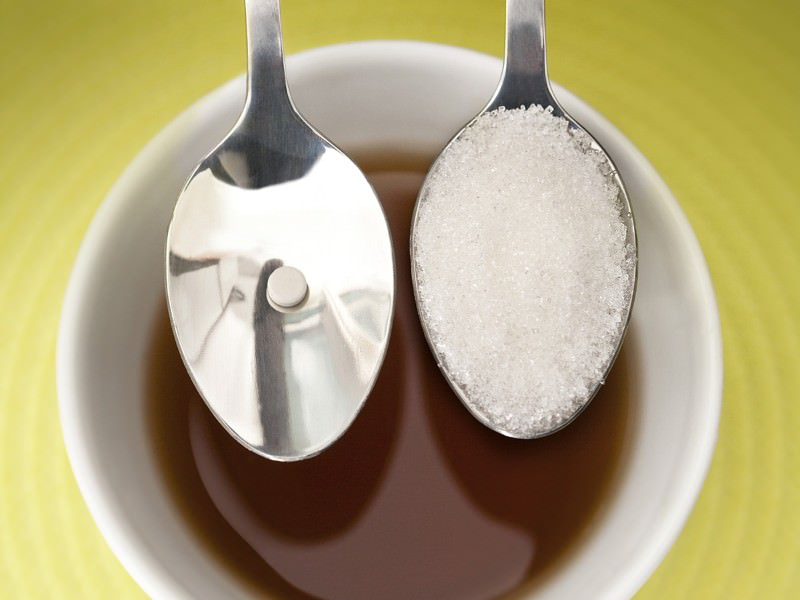 Keeping your sugar addiction alive with synthetic substitutes misses the point entirely, replacement impostors never allow you to escape your unhealthy attachment to the sweet taste. Consider; Whatever you need owns you. So, in the case of the sweet stuff , until you are totally off the wagon, your craving will always have control over you and it’s just as easy in a moment of yearning to slip in our discipline and be tempted back to the nearest sugary snack when a healthier or synthetic alternative is not available. ‘Diet’ drinks and foods are mostly a waste of money and fall short of their promises, in the spirit of respecting your body, being healthy and clean, ditch the replacement, train your palette to enjoy natural sweetness such as low gi fruit. Wake your taste buds up enjoy natural sweetness.